Our Sea Buckthorn Garden is situated directly at the Glindow Lake, near Potsdam and about 30 kilometers south-west of Berlin. It is ideal for short trips, bikers and hikers. In the garden you find a lot of sea buckthorn, many wild fruit plants, a herb garden, flowers and a lot more. Do not miss to visit the café or the restaurant with charming terraces. 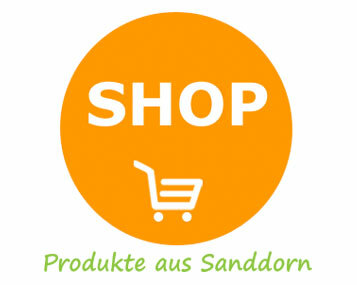 In our shops you can try and buy our sea buckthorn delicatessen and many other regional products.